FREE SHIPPING on this 7'x 8' Portable Screen — the #1-selling screen of its kind. This huge screen frame (7' x 8') is made of sturdy lightweight spring steel, folds down to a compact 36'' circle, weighs less than 14 lbs., and fits in the trunk of any car. Great for travel with a 1-Year Guarantee. NEW 3-Step Colored-Tab Folding System. It’s as easy as Red, White and Blue! 191-lb. 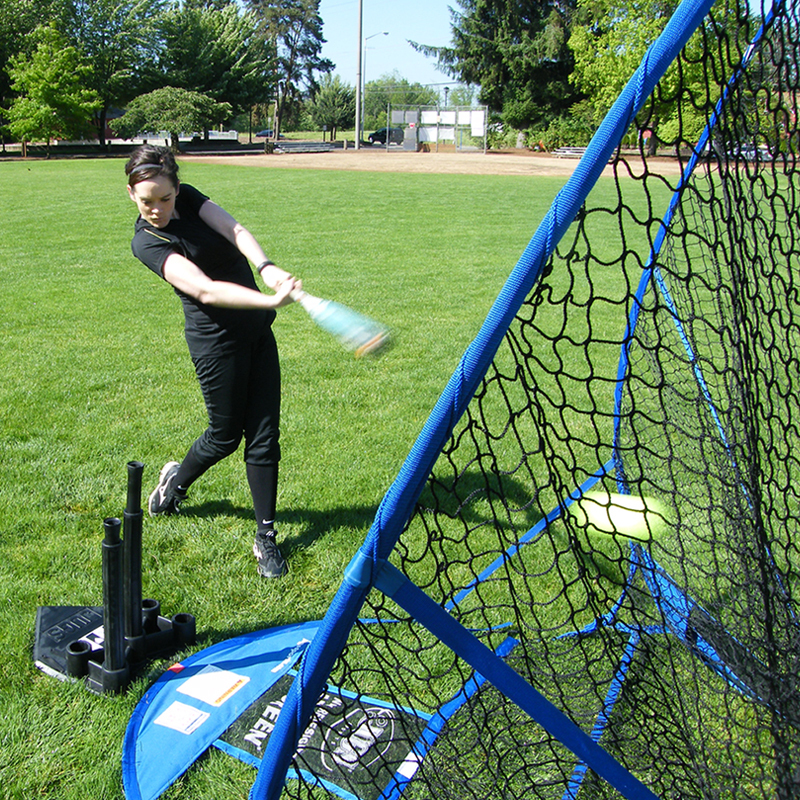 Knotless Nylon Netting—designed specifically for baseball and softball practice. 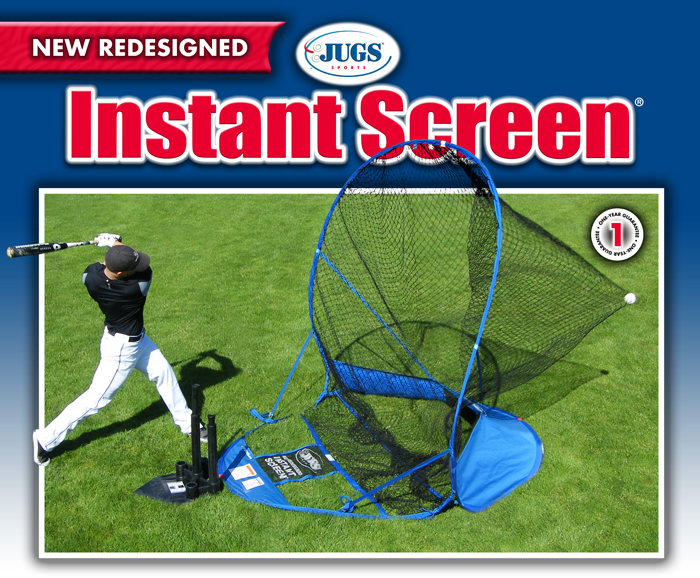 NEW Optional removable Flip-Over Strike Zone. This amazing screen pops open and closes in seconds and fits in the trunk of any car. This huge 7'H x 8'W screen frame is made of sturdy light-weight spring steel. Folds down to a compact 36" circle and weighs less than 14 lbs.—GREAT FOR TRAVEL!